Israeli society and the Zionist state are the products of Zionist colonization of Palestine. This colonization process consisted of the organized immigration of Jews; the influx of capital under Zionist control; the formation of exclusively Jewish political, educational and cultural institutions; the construction of Jewish armed forces; the development of an exclusively Jewish economy through land purchases from absentee Palestine landlords, followed by the violent dispossession of the Palestinian peasantry; denying Arabs employment in industries working with capital under Zionist control; and a tightly enforced Jewish boycott of Arab-produced goods. In 1948, this process reached a climax in the establishment of the state of Israel – and in the physical expulsion of almost a million Palestinian Arabs from the territory occupied by the new state. The process is by no means at an end. 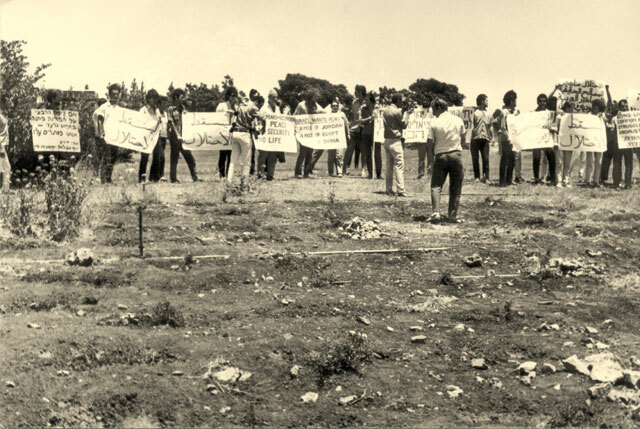 While diplomats negotiate and politicians debate, Arabs in the territories occupied since the 1967 war are steadily being driven from their homes and land, while new Jewish settlements are being founded there. And, in fact, the tendency to colonize more and more territory is inseparable from Zionist ideology and the deepest economic and political dynamic of Israeli society. 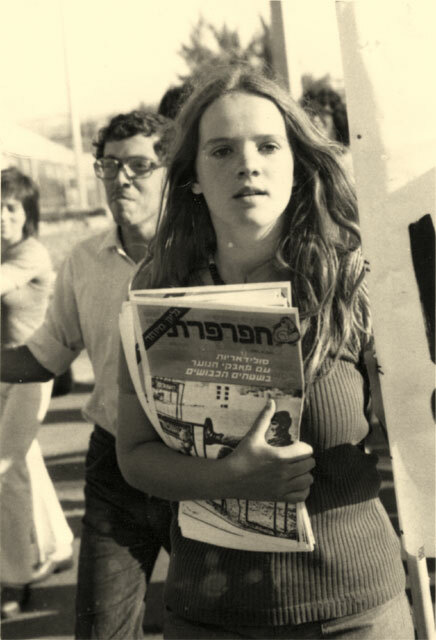 Every benefit, real or imagined, that the Israeli Jews today possess – a standard of living much higher than that of the other peoples in the region, a reasonably high degree of formal political democracy, a formally independent state, even some land of their own – is historically based on acts of violence against the Palestinian Arabs. The Israeli Jews constitute a society of settler colonialists, and the Zionist state is the instrument that procures benefits for them based on the denial of these benefits to the Palestinians. This colonization could not be carried out by the Zionist movement alone. It has required the economic, military and diplomatic support of one or more imperialist powers. From the very beginning, a primary goal of Zionist leaders has been to cement the alliance with imperialism. There is nothing accidental or extrinsic about this alliance; contrary to what some left Zionists claim, it is not the result of mistaken policies or bad leadership within the Zionist movement or state. Without this support the settler community could not have been secured, and the state could neither have been established nor could it continue to exist in the face of the implacable hostility of the violently dispossessed Palestinians and the intensifying opposition of the other Arab peoples. And because of this, the alliance is by no means one of equals; on the contrary, the imperialist partner is overwhelmingly dominant, and the Zionist state is utterly dependent on imperialism. As a result of this, social classes with antagonistic interests, characteristic of every capitalist society, have emerged among the Israeli Jews. There is a working class that is compelled, in order to live, to produce a surplus over the disposition of which it has no control and that is always forced to produce a greater surplus. And there is a ruling class, appropriating this surplus and disposing of it, that consists of two components – the labor bureaucracy, historically rooted in the Histadrut and the left Zionist parties and today dominant in the government, which controls the bulk of the surplus produced by Israeli workers as well as the bulk of the funds that flow into the country from abroad, and the private capitalists, who directly appropriate the surplus produced by Israeli workers in the private sector of the economy. Although the balance within the social coalition has been shifting steadily in favor of private capitalists, the labor bureaucracy remains dominant in the economy and will remain dominant in the foreseeable future. The Israeli masses are afflicted with all the ills that befall the proletariat in any capitalist society – the erosion of real wages through inflation and wage controls, the periodic threat of unemployment, constant pressure to intensify their labor, lack of control over their own labor process and increasingly inadequate housing, educational facilities and social services. Moreover, in the case of Israeli Jews of Oriental origin, added to these ills are racial or ethnic discrimination, which greatly intensifies them all. Thus, the Israeli-Jewish workers and middle classes live and suffer all the contradictions of advanced capitalist societies, and like their counterparts elsewhere, they spontaneously struggle against these ills by strikes and demonstrations. 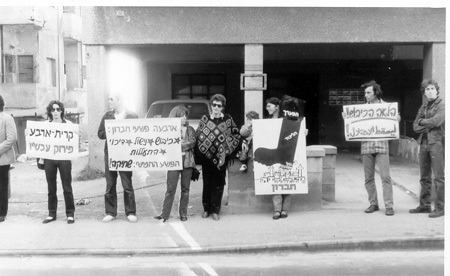 And when the Zionist state through the police force and, more usually, through the Histadrut with its labor courts and its control over jobs and social insurance, strikes back against these strikers and demonstrators, it expresses what it really is – an instrument of coercion in the hands of the Israeli-Jewish ruling class which is directed against the Israeli-Jewish proletariat and, of course, that Arab minority which is incorporated as super-exploited workers into the Israeli economy. The result of all this is the maintenance and intensification of exploitation of the proletariat and the strengthening of the wealth and power of the social system that constantly reproduces both components of the Israeli-Jewish ruling class. The fourth consequence that follows from this state of affairs is that any possible Israeli revolution can be conceived only as an aspect of the Arab revolution; the development of a mass revolutionary movement is wholly dependent on the progress of the Arab revolution. But the Arab revolution and the intensification of the internal conflicts within Israeli-Jewish society will not automatically generate a mass revolutionary movement Whether or not such a movement develops will depend on whether or not ever larger sectors of the Israeli-Jewish masses come to perceive these relationships – between the Israeli-Jewish nation and the Palestinians and the other Arabs, and between the Israeli-Jewish nation and imperialism. Under the sway of Zionist ideology, every element of this reality appears the opposite of what it really is. What is in reality a new nation produced by a specific historical process appears as the victorious restoration to its natural (or divine) rights of an ancient nation deprived of them for thousands of years as a result of the natural anti-Semitism of the Gentiles. What are in reality privileges maintained at the expense of the Palestinians appear as the natural rights of Jews. What is in reality a repressive apparatus directed against the masses of the Israeli Jews to maintain and intensify the exploitation of the Israeli-Jewish workers appears as the defender of these natural rights. What is in reality a counter-revolutionary mercenary army of imperialism appears as an army of the mythical Jewish nation fighting for survival and dependent in order to survive on support from the Western nations. What is in reality a struggle by the Palestinians to end the privileges of the Israeli Jews maintained at their expense, and a struggle by all the Arab people both to contain Israeli expansion and to destroy the chief military instrument of their continued exploitation appears as one more Gentile effort to oppress and kill Jews. As long as this system of ideas retains its unbroken hold over the Israeli-Jewish masses, no mass revolutionary movement can possibly develop. For to minds shaped by this ideology, every sacrifice appears necessary to the survival of the nation. Nor can this ideology ever be undermined purely as a consequence of social struggles around particular issues, no matter how militant these struggles may become. For long before such struggles reach the pitch at which the state and its institutions stand revealed as crude instruments of violence directed against the aspirations of the masses, these straggles are broken by the simple expedient of identifying those in the forefront of them as “traitors to the nation”. This has happened again and again in the history of the Zionist settlement and state. Never has the question of the fundamental character of the Zionist state or the role of Zionist ideology spontaneously arisen in the course of such social struggles, no matter how militant. The most fundamental break in Zionist ideological hegemony will derive from the overwhelming fact that under the conditions of the long-term intensification of the Arab revolution, the Zionist project, judged by its own standards, is and will remain an utter failure and that different basic goals of this Zionist project will continue to contradict each other. Zionism promised national awakening and fraternal solidarity; it has produced a society of increasing economic inequality and of racist discrimination and cultural oppression. Zionism promised independence; it has produced a society in which the Prime Minister must periodically affirm to the people that the existence of the nation depends on the delivery of fifty or a hundred Phantom jets from the United States. Zionism promised the Jews the dignity of a nation taking its place among the nations of the world; it has not been able to compel formal recognition by even the weakest and most reactionary Arab state, and it has not gained the slightest hint of legitimacy in the eyes of the Arab masses. Zionism promised physical security to the Jews; Israel is the most dangerous place on earth today for a Jew, and it will remain so as long as Israeli-Jewish society retains its colonial character and its function as an instrument of imperialism. Another demand of the de-Zionization program calls for the separation of religion and state. This is an elementary demand long ago achieved in most capitalist democracies that immediately appeals to democratic sentiment and can win broad support because of the oppressive intervention of the reactionary religious establishment in the everyday life of every Israeli. But it is a measure that cannot be carried out by the Zionist state, for the entire claim to legitimacy of that state depends on a religious conception. The state claims to be the national territory of the “Jewish nation.” But the Jewish nation – a nation purportedly comprising all the world’s Jews, as opposed to the real Israeli-Jewish nation – is a myth, so the definition of a member of that “nation” can only be a mythical, religious one. And, in fact, the most rabbi-baiting, atheistic “socialist” Zionist cannot offer any non-arbitrary answer to the question “Who is a Jew?” except the religious one: A Jew is the child of a Jewish mother or someone who has been converted to the Jewish religion.